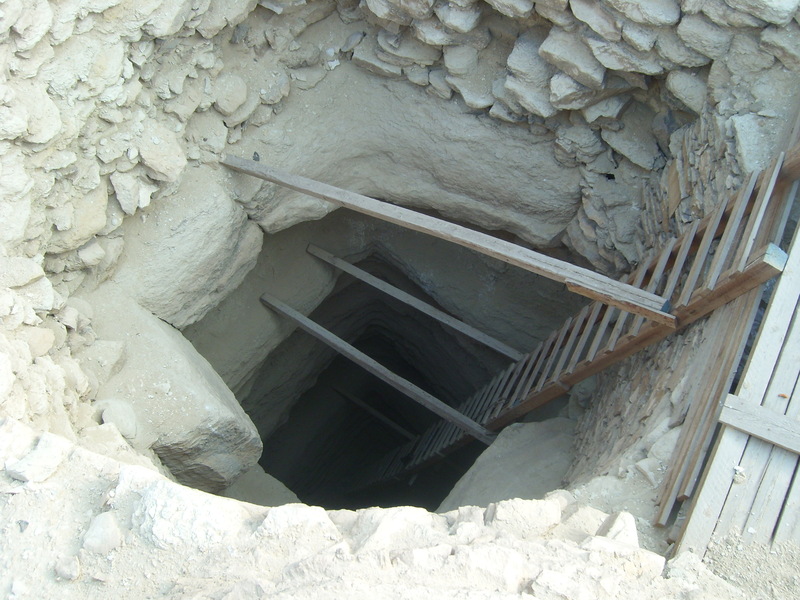 The so-called ‘Bent’ Pyramid near Dashur. 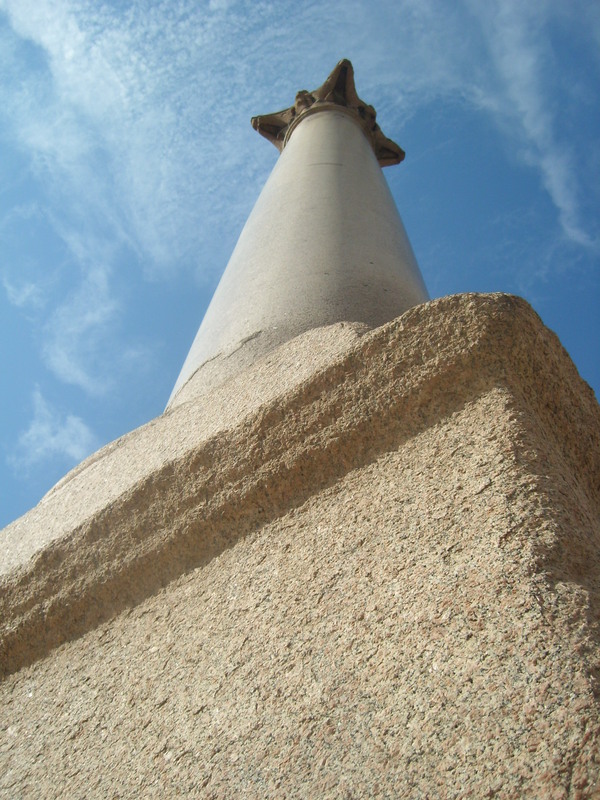 The 104 foot-high ‘Pompey’s’ Pillar in Alexandria – not Pompey the Great but Pompeius, who erected it to honour the Emperor Diocletianus in 284 A.D. for defending the city. 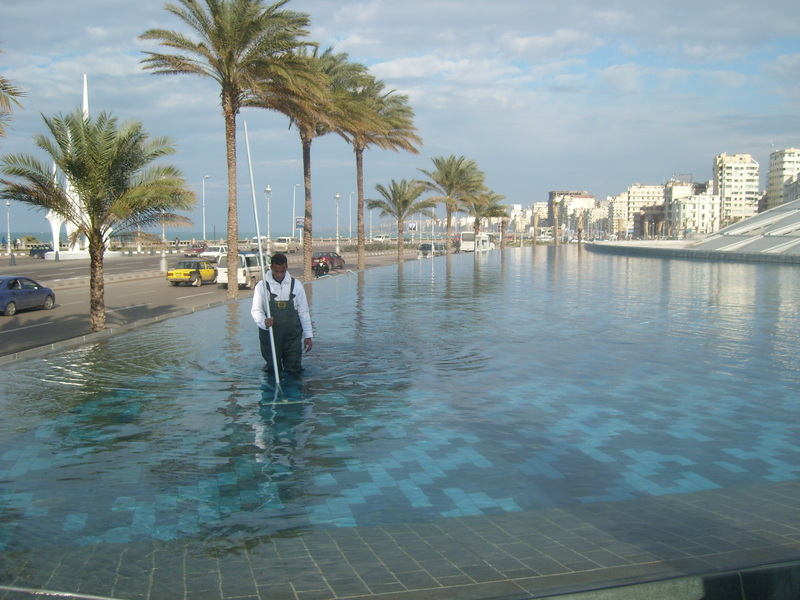 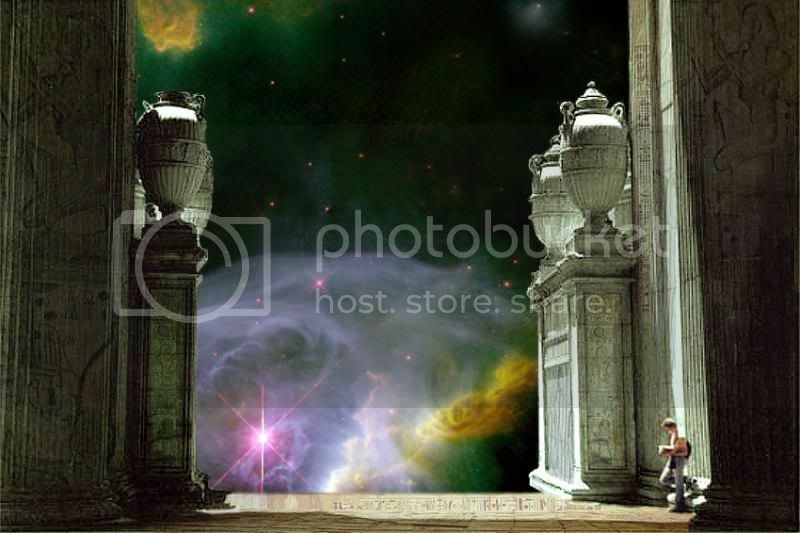 A decorative pool at the entrance to the futuristic Library of Alexandria. 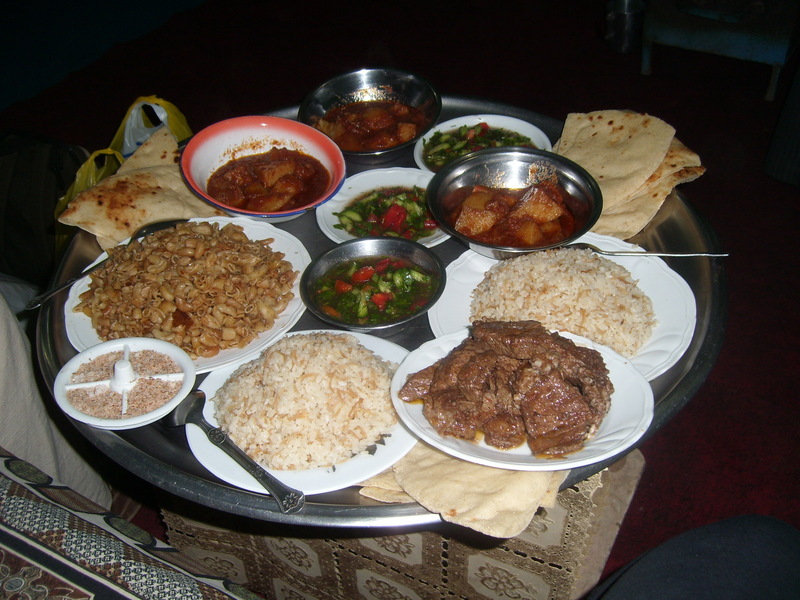 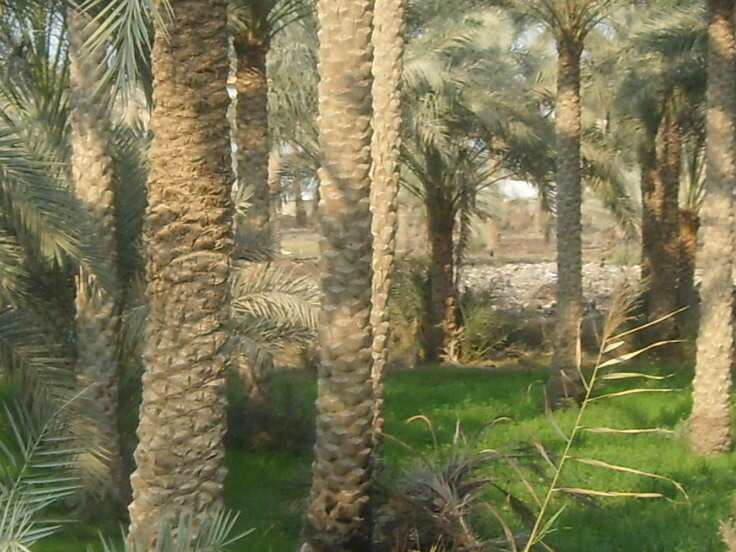 Fertile land bordering the River Nile. 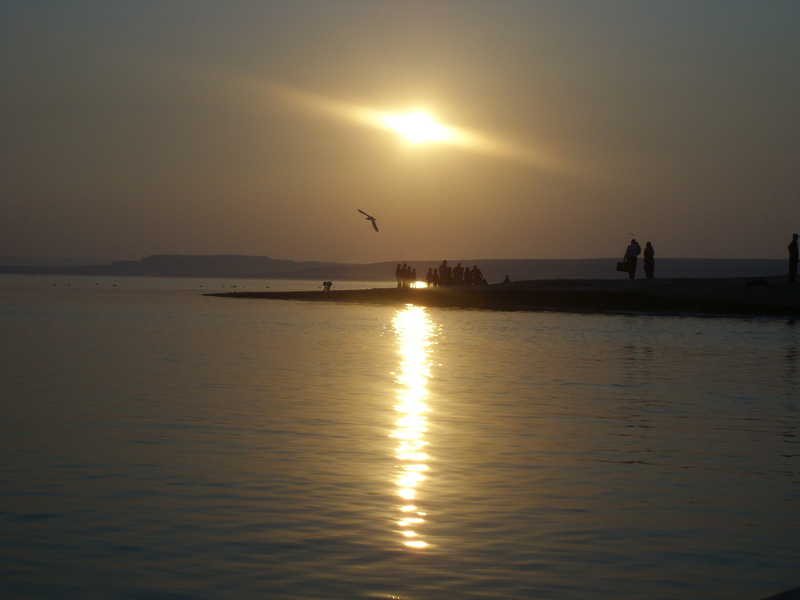 Local people at one of two lakes at Wadi Rayan, Fayoum. 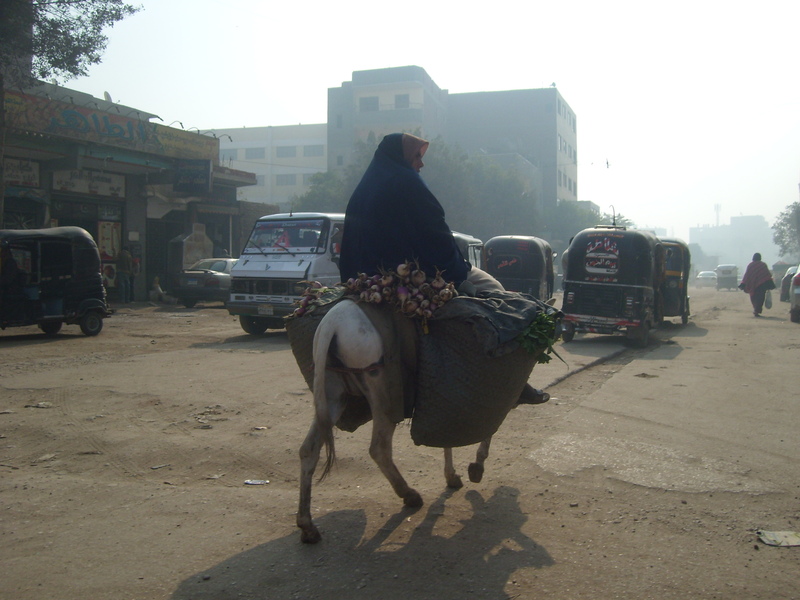 Street traffic in down-town Giza. 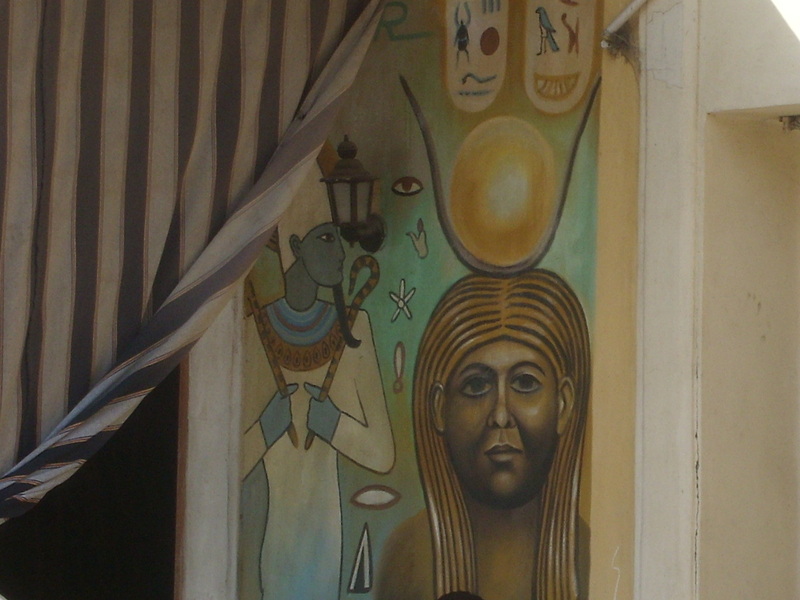 Artistic shop-front near the underground catacombs in Alexandria. 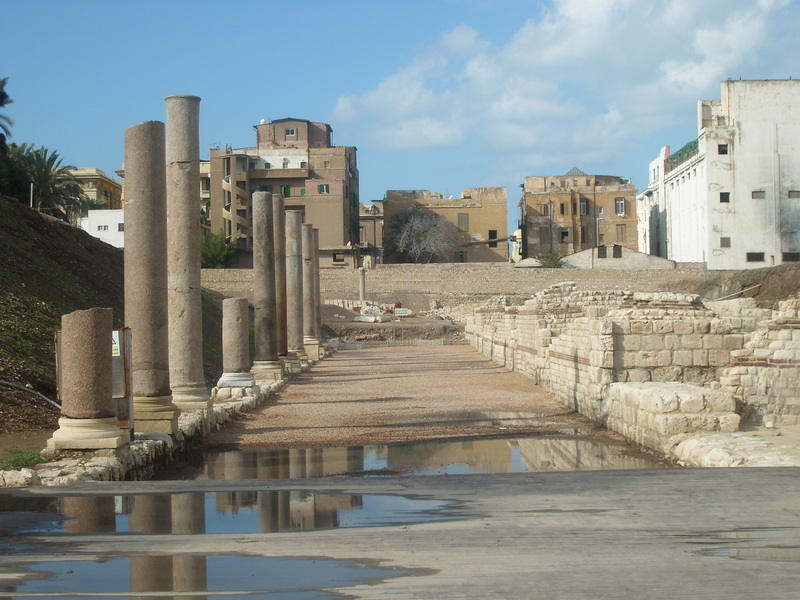 Ruins of a Greek amphitheatre, Alexandria. 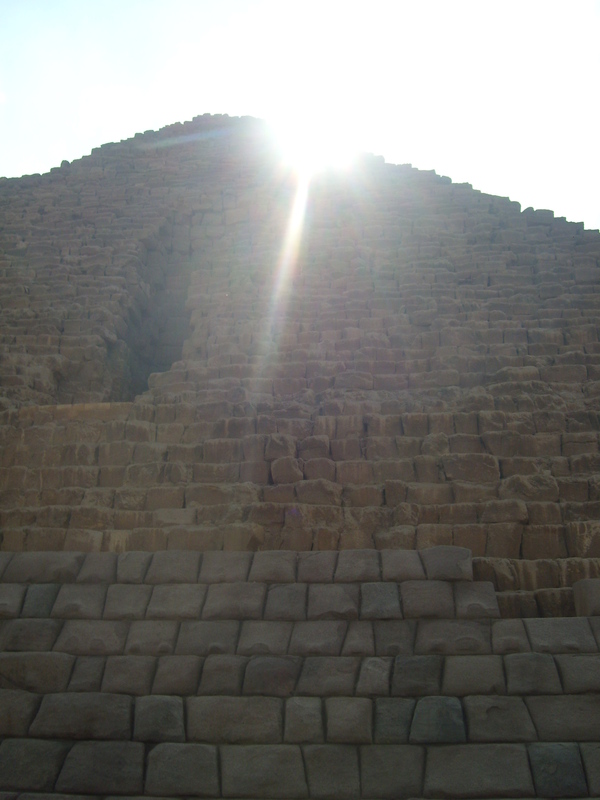 Peaceful sunset at Wadi Rayan. 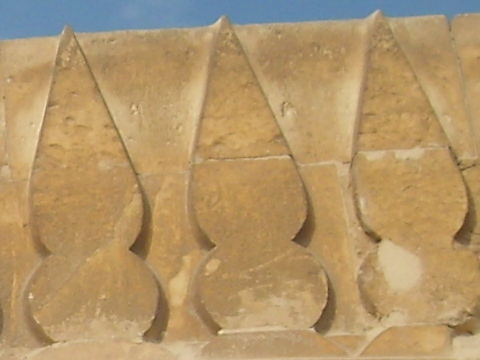 Detail on a small, private tomb at Saqqara. 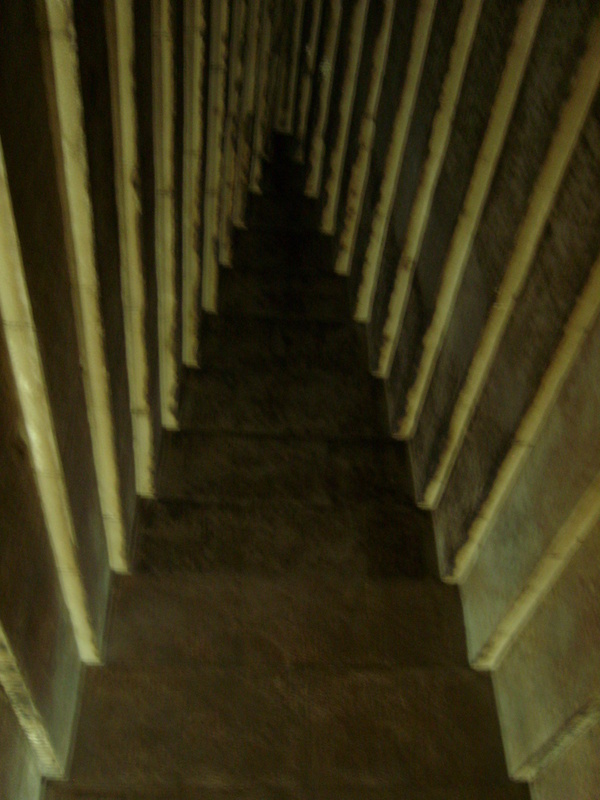 Guardian of the doorway into the Red Pyramid. 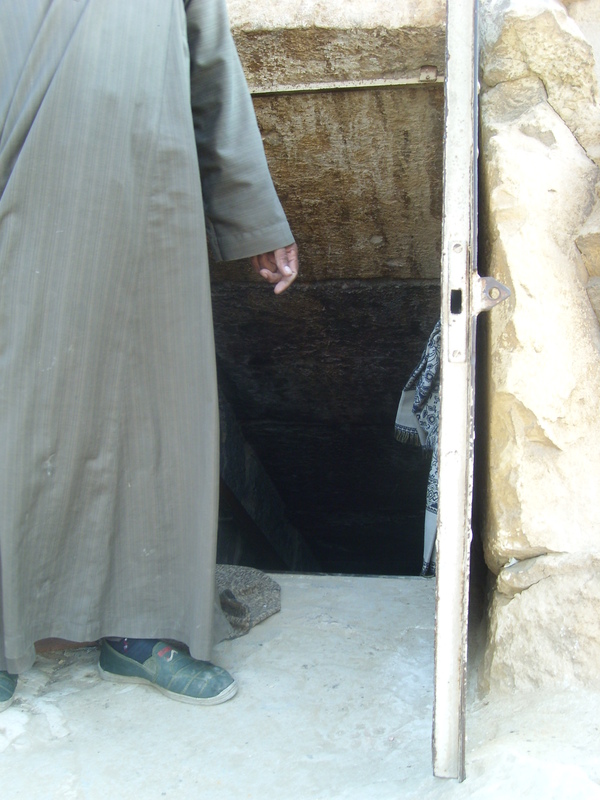 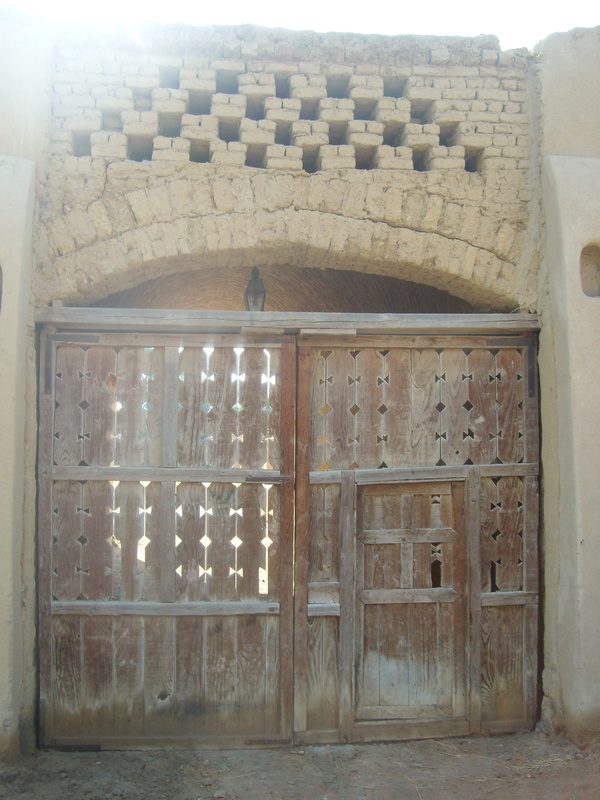 Entrance to a well at Saqqara. 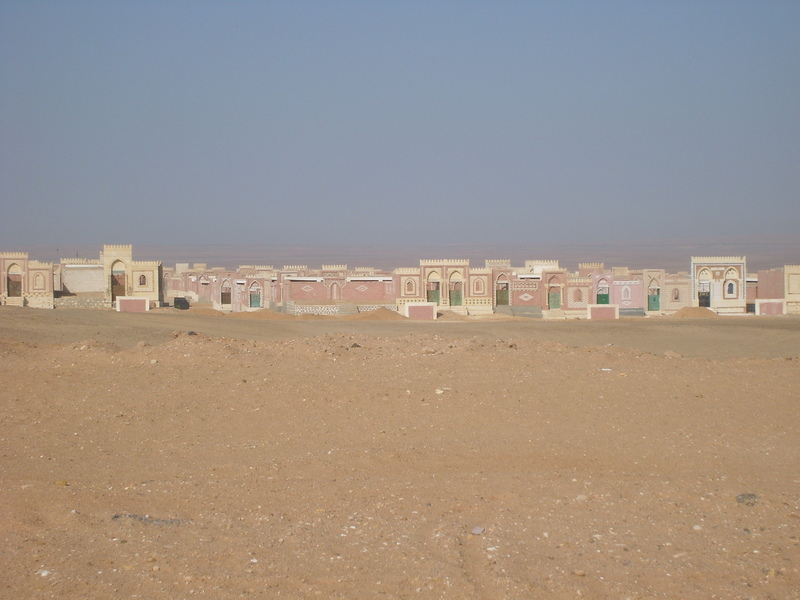 ‘Dead City’ (cemetery) on the edge of the Sahara desert. 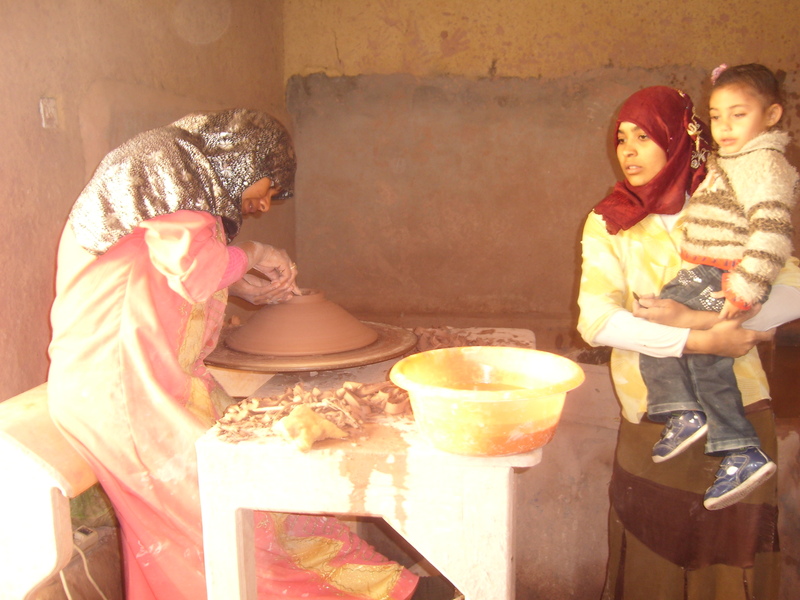 A potter at her wheel, which is driven by her feet. 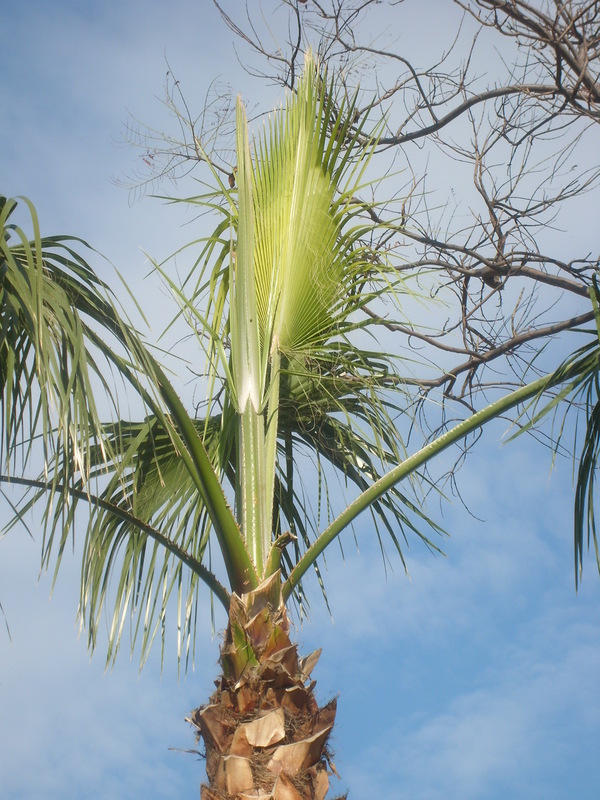 New leaf on a palm tree. 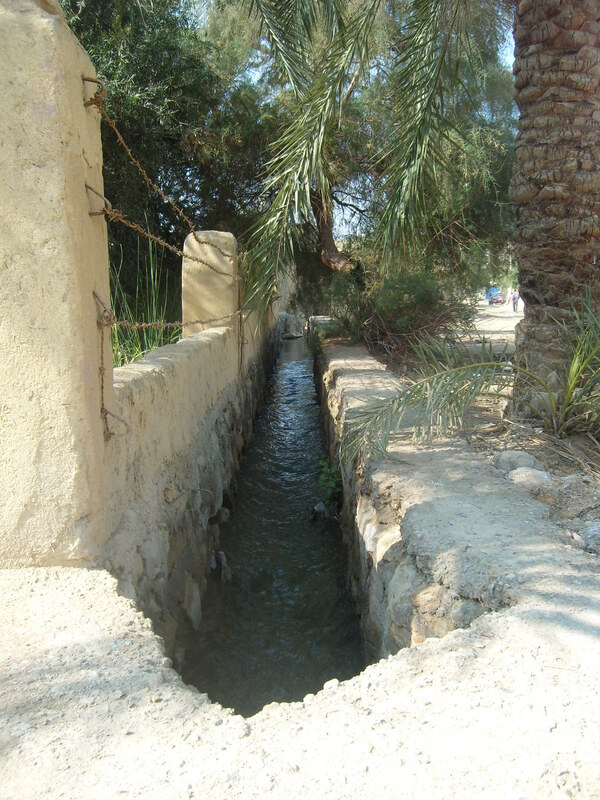 Irrigation channel at a village in the Fayoum oasis. 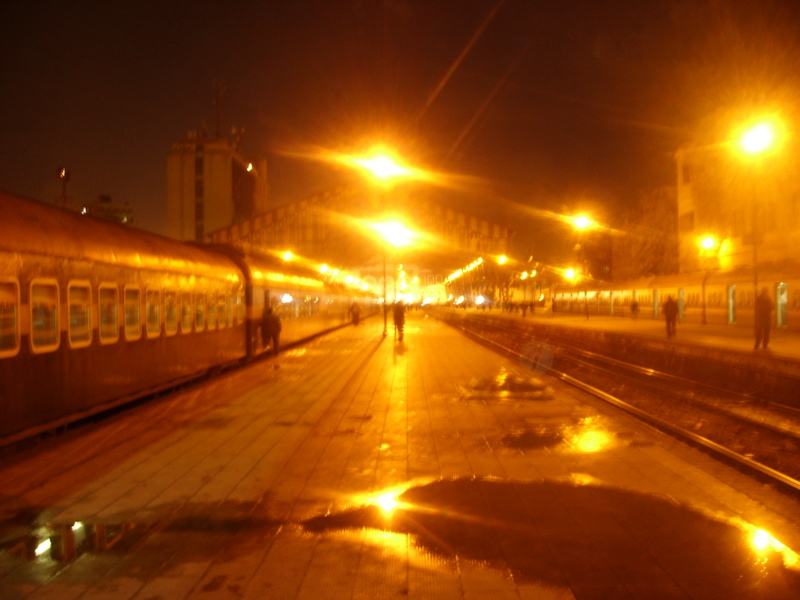 Last train out of Alexandria station.